HÀ NỘI – The amendments to the Law on Enterprise and Law on Investment must include stronger solutions to thoroughly and comprehensively reform State-owned enterprises (SOEs) and enhance their efficiency, according to the Việt Nam Association of Financial Investors (VAFI). In a recent document sent to the Government about VAFI’s recommendations regarding amendments to the enterprise and investment laws, the association pointed out that there was a shortage of effective solutions to tackle the weak management at SOEs, which was hindering the country’s socio-economic development. “It is necessary to have drastic measures to reform SOEs with efficiency,” VAFI said. VAFI said that the amended laws should include a new definition for SOEs – those with the State holding a controlling stake, listed on stock exchanges and operating in sectors requiring a controlling State stake. The association also said that the amended laws must enhance the accountability of all members of SOEs’ management boards and boards of supervisors. All others SOEs must be privatised and listed on stock exchanges. VAFI estimated that if the amended laws could enhance SOEs efficiency, the State budget could collect up to US$100 billion in the next 15 years, a significant sum to help reduce public debt and invest in transport infrastructure, including the North-South high-speed railway and urban metro in Hà Nội and HCM City. VAFI also recommended that foreign investors founding business or holding controlling stakes at firms in Việt Nam under the Law on Enterprise and the Law on Investment should be regarded as domestic investors. In addition, the regulation on caps on the ownership of foreign investors could not limit the reception of technology and capital from the foreign investors, urging the Government to issue a new list of business lines requiring foreign ownership caps. VAFI estimated that around 80 per cent of existing business lines with foreign ownership caps should be removed. VAFI asked why Singapore was one of the largest financial centres in Asia. It was because its Law on Enterprise treats all investors equally, the association said. 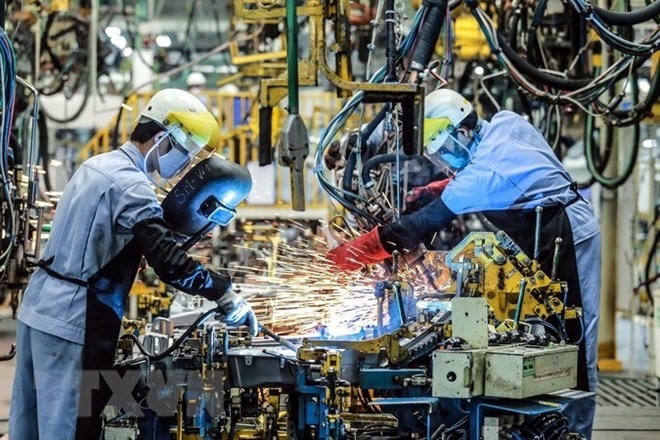 VAFI said that the development of the Vietnamese economy and business community was entering a more intensive period in the technology-driven era, requiring management to be more facilitating. “The Government should regard amending the investment and business laws to be a revolution,” VAFI said. The association said that the draft law which was recently made public for comments did not really create changes to bring benefits to the economy and the business community, urging more amendments. The laws must create framework which helped attract more foreign capital and technology.